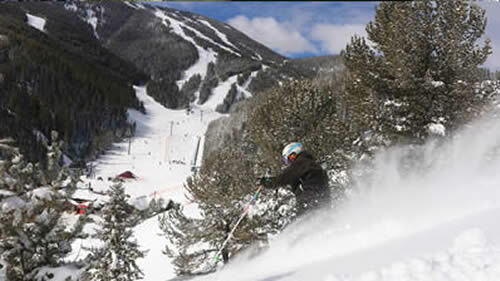 Big mountain adventures without big mountain crowds or prices, Red Lodge Mountain is a down-to-earth ski area that values great skiing and affordability. A well-developed terrain park offers ski and snowboard opportunities for all ages and ability levels, making Red Lodge Mountain an ideal spot for family vacations. And, with more than a third of its terrain designated as advanced or expert, there’s plenty of room to push the limits.